This is our long-in-the-making audio spellbook episode! Listener contributions abound, as well as a few spells from your New World Witchery Hosts. Plus we announce the contest winners from our Speak-a-Spell giveaway. This entry was posted on December 13, 2011 at 11:00 am and is filed under Podcast, Shownotes. You can subscribe via RSS 2.0 feed to this post's comments. Great episode! This is one I’m going to have to listen to again when I’ll be able to take notes. I’ve tried something like Ro’s matchbox spell, but I didn’t really know what to do with it. I can hardly wait to try it again with her method. what a great episode. thanks for doing this. took lots of notes. guess i’ll be visiting my favorite witchy and herbal shops to get some ingredients! also, education – didn’t know what Icelandic staves were until now. maybe this can be a yearly or every other year thing? 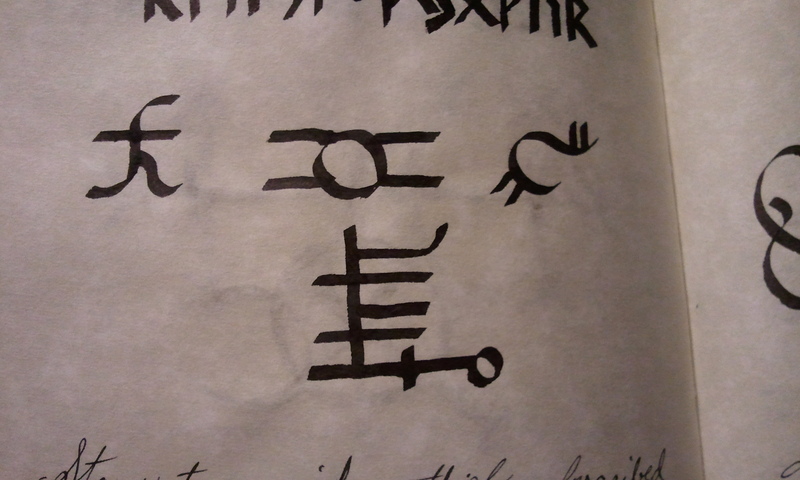 I noticed that a few of the spells, possibly more, were taken from websites, books, etc. Perhaps the next time you run the contest you could stipulate that the spells must be created by the person or else passed down in the family. Kind of unfair to the real authors of the spells if someone else wins a prize off of their material. Just a suggestion though. Thanks for the great feedback on this episode, everyone! I’m glad so many of you enjoyed it, and hopefully we’ll do this again in the future for those who missed out this time.